Blocked air supply or exhaust – Does your water heater’s display say there’s an error? It could be picking up on a blockage in your air supply or exhaust. We’ll check to see if there’s a foreign object in your vents that’s keeping your water heater from working. System overloads – When a tankless water heater is overloaded, it can’t produce a sufficient amount of hot water. This happens when too much water is being used at the same time. With this in mind, try to be conscious of how much hot water is being consumed at once. Ignition and flame issues – Ignition and flame problems can stem from several issues with the system. 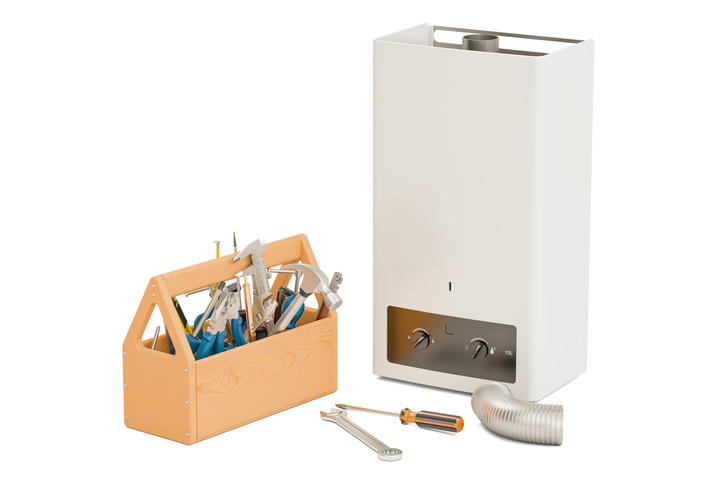 Most often, they occur when something happens with the appliance’s gas supply or pressure. However, these are also potentially dangerous problems. You should always contact a plumber repair service to take a look. Mineral stockpile – Minerals can easily build up inside a tankless water heater, especially if your home has hard water. This buildup can cause a lot of problems if it’s not taken care of. Let a plumber in Charleston or North Charleston inspect your system regularly. Fluctuating water temperature – No one wants to get a splash of cold water in the middle of a shower. This issue is called a cold water sandwich. Cold water sandwiches are caused when hot water from a previous shower gets trapped in the pipes. The best way to avoid this problem is to let the water run until a full supply of warm water returns. Whenever you need these or any other repairs for your tankless water heater, contact Delk Plumbing. Our plumber repair service is here to help with all your tankless water heater needs in Summerville, SC and surrounding areas.